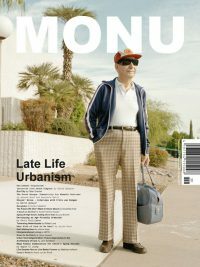 MONU is a unique English-language, biannual magazine on urbanism that focuses on the city in a broader sense. MONU 26 – Decentralised Urbanism. Centrality is dead. 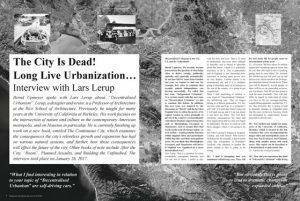 Lars Lerup does not hold back in an interview with us entitled “The City Is Dead! 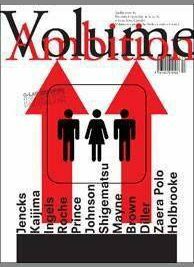 Long Live Urbanization…”. 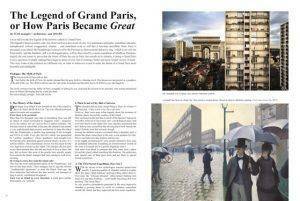 In MONU 26 we discuss what centrality means for cities today and explore and assess cities that are organized in a decentralized or polycentric way – something we call “Decentralised Urbanism” – in general and as a strategy to plan the growth of cities and their metropolitan areas. 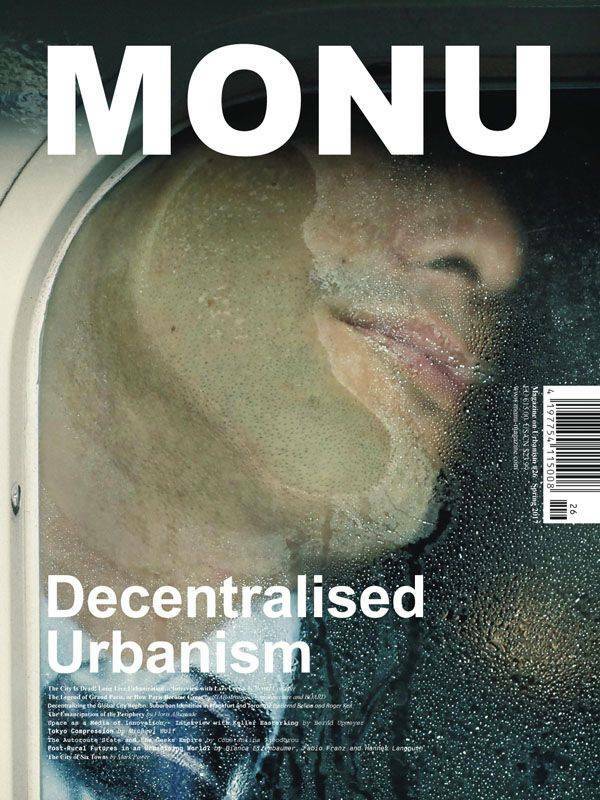 Thus, to a certain extent, we continue the discussion of MONU #19, entitled “Greater Urbanism”, on how metropolitan areas of cities should be organized in terms of governance, politics, space, architecture, sociology, ecology, and economics, but now with a focus on “Decentralised Urbanism”. According to Lerup we eventually should be able to understand urbanization as a vibrant kind of fast and slow moving apparatus, and in a way as a virus that reproduces itself at the same time. 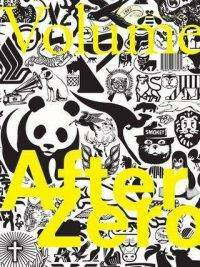 But we should see urbanization also as a surface that is not really a surface but a thickness and a force field in which you carry the centre with you. Why a city sometimes has to die to save its periphery and allow urbanization and not centrality prevail is perceptively demonstrated by STAR strategies + architecture and BOARD in its contribution “The Legend of Grand Paris, or How Paris Became Great” in which “Paris had to be killed to save its homeland”. 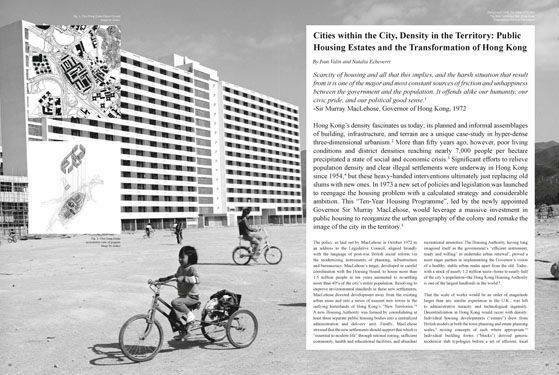 Bernd Belina and Roger Keil in their piece “Decentralizing the Global City Region: Suburban Identities in Frankfurt and Toronto?” explain that peripheral places already actively position themselves as players in the area and even as global cities. They argue that these individual regional municipalities essentially practice a form of decentralized urbanism in a centralized world of global urbanization. 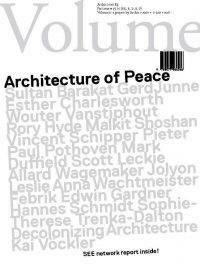 Nevertheless, Floris Alkemade complains that the general public and developers still tend to assign a lesser status to the periphery reserving their attention and appreciation for the city centres, which has led to a structural underestimation of, and lack of commitment to, our peripheral areas, as he points out in his article “The Emancipation of the Periphery” in MONU 26. He considers the periphery as a prime location for radical modernization and an arena for innovation that has the potential, especially with the help of self-driving cars, to deliver particularly attractive residential areas. 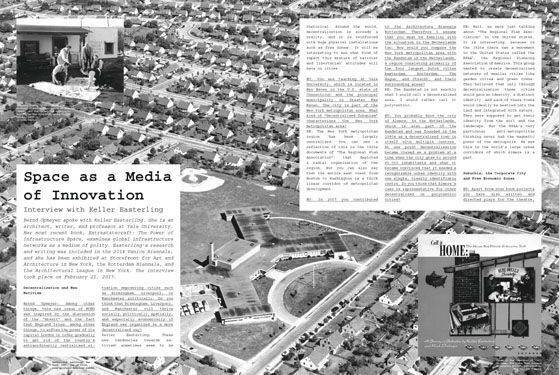 However, Keller Easterling believes that automated vehicles, although currently discussed frequently in relation to “Decentralised Urbanism” and as the saviour of all problems of movement and infrastructure, may also create more congestion, emissions, and sprawl if people use those vehicles instead of transit, as she states in an interview with us called “Space as a Media of Innovation”. Therefore, she advocates inserting the idea of the “Switch” that allows passengers to up-shift and down-shift into transportation of different capacities. Transportation and commuting are obviously crucial aspects of “Decentralised Urbanism”. 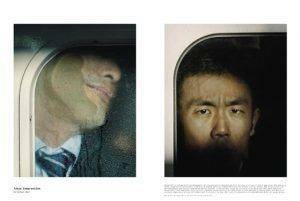 How tough commuting within metropolises and metropolitan areas can be is quite impressively shown in Michael Wolf’s contribution “Tokyo Compression”. 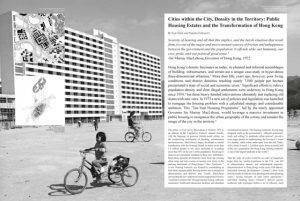 But since the expanding global urbanization process comes with an ever-growing amount of commuting, as Constantina Theodorou emphasizes in her piece “The Autoroute State and the Geeks Empire”, it becomes ever more necessary that answers to the problem of the rising nomadic population – whether refugees, commuters, or constantly moving freelancers, who are not citizens of the places they inhabit – are found. 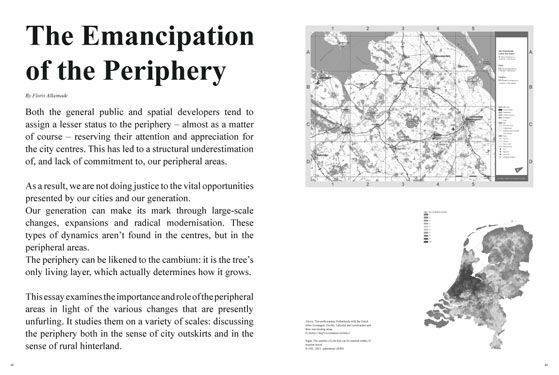 To solve this problem of “Decentralised Urbanism” she proposes a new and loosened relationship of power to territory so that other forms of sovereignty can emerge such as the social sovereignty practiced by actors other than the state and detached from a certain territory. Examples of such actors in an increasingly urbanising world are decentralised community economies leading to a decentralised community-oriented urbanism that Bianca Elzenbaumer, Fabio Franz, and Hannes Langguth discovered in future-oriented post-rural alpine regions, as they call them in their article “Post-Rural Futures in an Urbanising World?”. And since in the final analysis the functioning of “Decentralised Urbanism” will be largely dependent on the people and their communities, it is quite fitting that Mark Power portrays the polycentric city of Stoke-on-Trent and its inhabitants in his photo essay “The City of Six Towns”. All of this in MONU 26.